Á ráðstefnu Varðbergs, Nexus og Alþjóðamálastofnunar HÍ tala fjórir ræðumenn auk Lilju D. Alfreðsdóttur utanríkisráðherra sem setur ráðstefnuna hér eru þeir kynntir á íslensku og ensku. Ráðstefnan er milli 14,00 og 17.00 fimmtudaginn 6. október í fyrirlestrarsal Þjóðminjasafnsins við Suðurgötu. Hún fer fram á ensku og er öllum opin. Robert G. Loftis er forstöðumaður framhaldsnáms við Boston-háskóla og prófessor í framkvæmd alþjóðasamskipta. Hann starfaði í bandarísku utanríkisþjónustunni frá 1980 til 2012 þar sem hann gegndi ýmsum embættum meðal annars leiddi hann umbótastarf innan utanríkisráðuneytisins á árunum 2010 til 2012. Hann var aðalráðgjafi vegna samninga og viðræðna um öryggis- og varnarsamninga árin 2004 til 2007 og leiddi þá meðal annars viðræðurnar við Íslendinga um lokun Keflavíkurstöðvarinnar. Hann var sendiherra í Lesotho 2001 til 2004 og yfirmaður sendiráðsins í Mósambík 1999 til 2001. 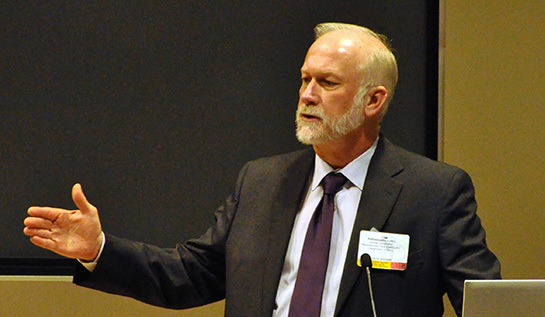 Robert G. Loftis is Director of Graduate Studies and Professor of the Practice of International Relations at Boston University. He served in the US State Department and Foreign Service from 1980 to 2012, where he held a wide variety of assignments, including Senior Adviser for Security Negotiations and Agreements (2004-2007) when he lead the negotiation with Iceland on the closure of the US Naval Base in Keflavik. He was Ambassador to Lesotho (2001-2004) and Deputy Chief of Mission in Mozambique (1999-2001). In early 2008, Loftis was the lead negotiator for a status of forces agreement with Iraq. He was also the Deputy Executive Director of the Implementation Planning Team for the creation of the Department of Defense’s new Africa Command (AFRICOM). Anna Jóhannsdóttir sendiherra hefur verið fastafulltrúi Íslands hjá NATO síðan 2013. Hún ert lögfræðingur að mennt með meistaragráðu í lögfræði frá Edinborgarháskóla og opinberri stjórnsýslu frá Háskóla Íslands. Hún varð sendiráðunautur hjá fastanefnd Íslands í Genf árið 2005, árið 2006 varð hún forstöðumaður Íslensku friðargæslunnar. Anna var skipuð sendiherra árið 2011 en árin 2010 til 2013 var hún ráðgjafi forsætisráðherra í utanríkismálum. Anna Jóhannsdóttir Iceland´s Ambassador and Permanent Representative to the North Atlantic Council holds a law degree from the University of Iceland a masters degree in European Law from the University of Edinburgh and a masters degree in Public Administration from the University of Iceland. She became First Secretary in the External Trade Department in the Foreign Ministry 2001, after having served as counsellor in Geneva she became in 2006 Director for the Iceland Crisis Response Unit, 2009 to 2010 Anna was director of the Ministry´s EU Department, then she became Foreign Policy Adviser to the Prime Minister until 2013 when she took up her present post having become Ambassador in 2011. Ojārs Ēriks Kalniņš er Letti, fæddur í München árið 1949 en alinn upp í Bandaríkjunum. Hann starfaði á auglýsingastofu í Chicago sem textahöfundur á árunum 1974 til 1984. Árin 1981 til 1991 var hann ritstjóri Lettneska fréttablaðsins í Chicago og um tíma einnig ráðgjafi við Lettnesku stofnunina í borginni. Frá 1985 til 1990 var hann upplýsingafulltrúi Samtaka Letta í Bandaríkjunum í Washington DC og jafnframt Heimssamtaka frjálsra Letta. Eftir að Lettland fékk frelsi frá Sovétríkjunum og sjálfstæði árið 1991starfaði hann í sendiráði Letta í Washington og sem sendiherra gagnvart Bandaríkjunum og Mexíkó á árunum 1993 til 2000. Eftir það sneri hann til Riga, höfuðborgar Lettlands, og var til 2010 forstjóri Lettnesku stofnunarinnar. Árið 2010 var hann kjörinn á þing og hefur síðan gegnt formennsku í utanríkismálanefnd auk formennsku í deild þess á NATO-þinginu. From 2000 to 2010 he was Director of the Latvian Institute in the capital of Latvia, Riga. 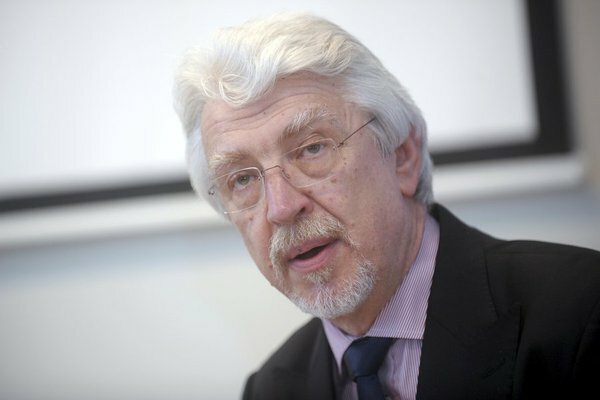 Kalnins was elected to the Latvian Parliament, Saeima, in 2010 where I became what he is now, the Chairman of the Foreign Affairs Committee and head of Latvia’s delegation to the NATO Parliamentary Assembly. Hanna Birna Kristjánsdóttir er stjórnmálafræðingur frá Háskóla Íslands með meistaragráðu í alþjóða- og evrópskum stjórnmálum frá Edinborgarháskóla. 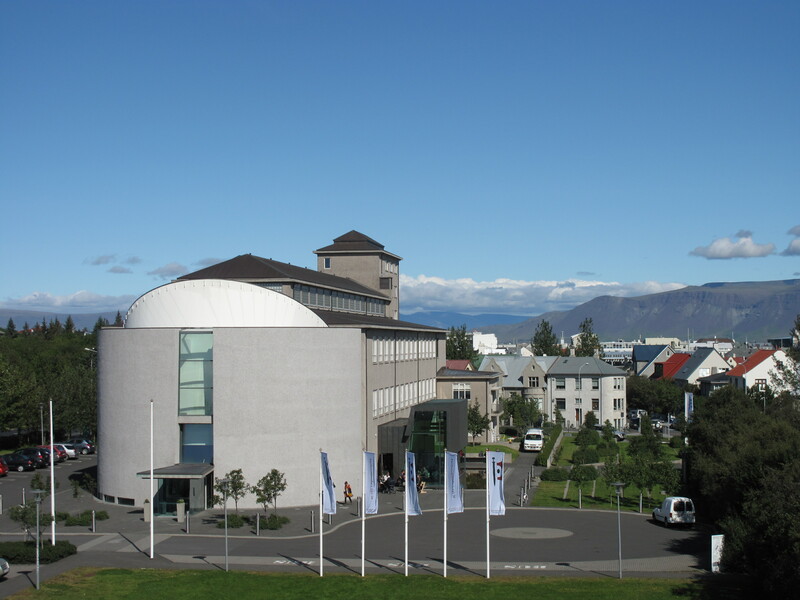 Hún varð formaður utanríkismálanefndar alþingis árið 2015. Hún er einnig formaður framkvæmdastjórnar alþjóðasamtakanna Konur á þjóðþingum. Hún var innanríkisráðherra frá því að hún var kjörin á þing vorið 2013 fram í nóvember 2014. Hún var borgarstjóri í Reykjavík 2008 til 2010. Árið 2002 var hún kjörin í borgarstjórn. Hanna Birna Kristjánsdóttir is a political scientist from the University of Iceland and a master in International and European Politics from the University of Edinburgh. 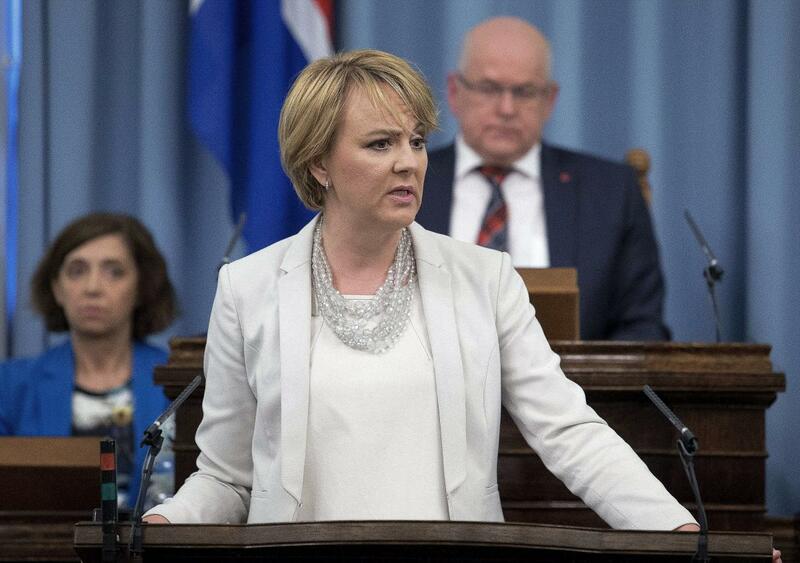 She has been chair of the Foreign Affairs Committee in the Parliament of Iceland since 2015. 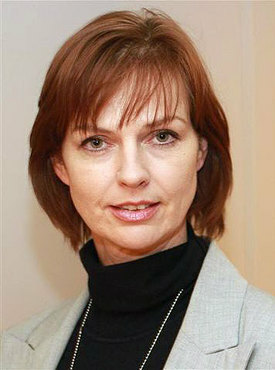 Hanna Birna is also currently the Chair of the Executive Board of Women in Parliament, Global Forum. She was the Minister of Interior after getting elected to parliament in 2013 to 2014, and was Mayor of Reykjavík from 2008 to 2010. Hanna Birna was elected to the City Council of Reykjavík in 2002.